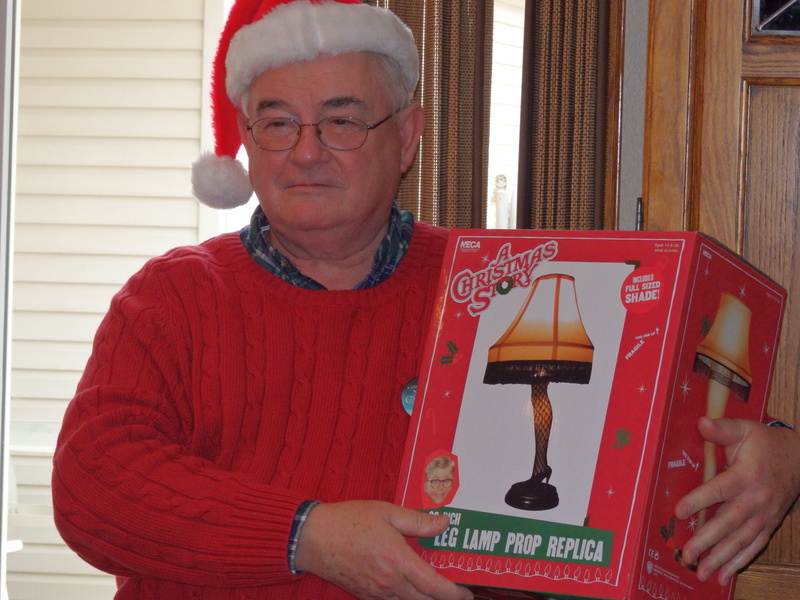 In the Grief Through the Holiday blog I mentioned how my father loved Christmas and that he would make up fun clues for a scavenger hunt for a special gift each year. Dad liked to spread out the gift giving time as long as he could. My grandparents lived too far away for us to see everyone all in one day so it was always just the four of us on Christmas. This is not a tradition I have taken on for my girls as we cram three Christmas’ into one day so time has always been a factor. This year my youngest asked that I do clues for a gift like Papa. With this being our first Christmas without our beloved Papa I decided to grant her wish and to make the clues a walk down memory lane as a tribute for Papa! I thought I would share on the blog for anyone who knew and loved my dad. It has been helpful in our grief to include his memory and what he stood for on this special day as well. 1. As requested, this is the very beginning of your Christmas mission. A path that will involve Papa’s memory to vision. As you search remember the hunt itself was inspired by this man. A man who loved Jesus, his family, people, Christmas, and he taught about God’s plan. The first stop will be something that represents his roots and how he got the “Clark” label. This stop will become very apparent find it if your able. The next clue can be found underneath a table. These tables were my father’s parents. He was going to take the wood from these and make gifts in his wood shop from them. 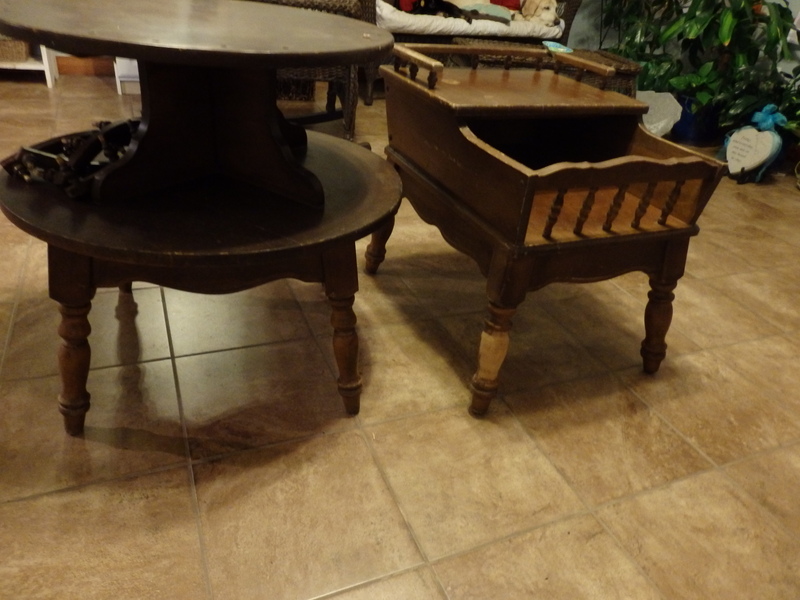 I am getting ready to paint them and give them new life in their original state as tables. 2. Wow you two are pretty swift. Your next clue can be found with Mom’s last Papa gift. Just a couple weeks before he passed dad gave my sister and I each a set of these for our birthdays. He had made the handles from wood from another table of Grandma and Grandpa Clark’s. 3. This clue my dears was Papa’s guide through his life’s journey as he trod. I pray that for your lives you also will fully rely on the Word of God. 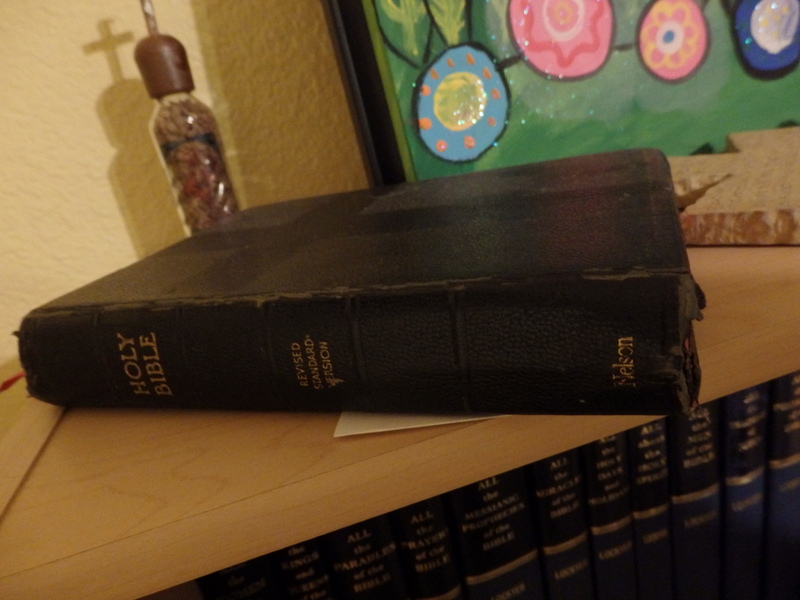 This was one of many of my father’s Bibles. 4. Papa was quite the story teller and craftsman that is no fable. This clue can be found with this forty year old Clark built cradle. 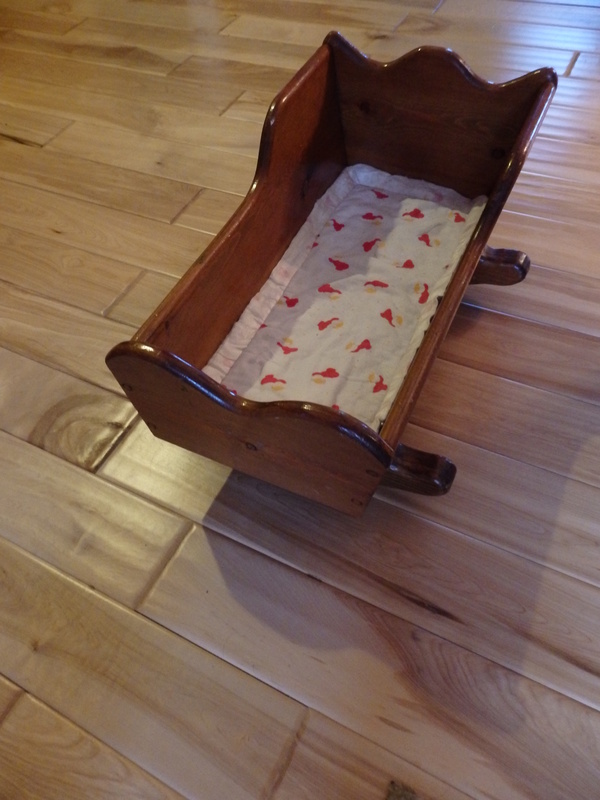 My father built this cradle for my 2nd Christmas. He made things to last that is for sure!! 5. This game is serious there is no time for tomfoolery. Find your next hint with mom’s junk jewelry. 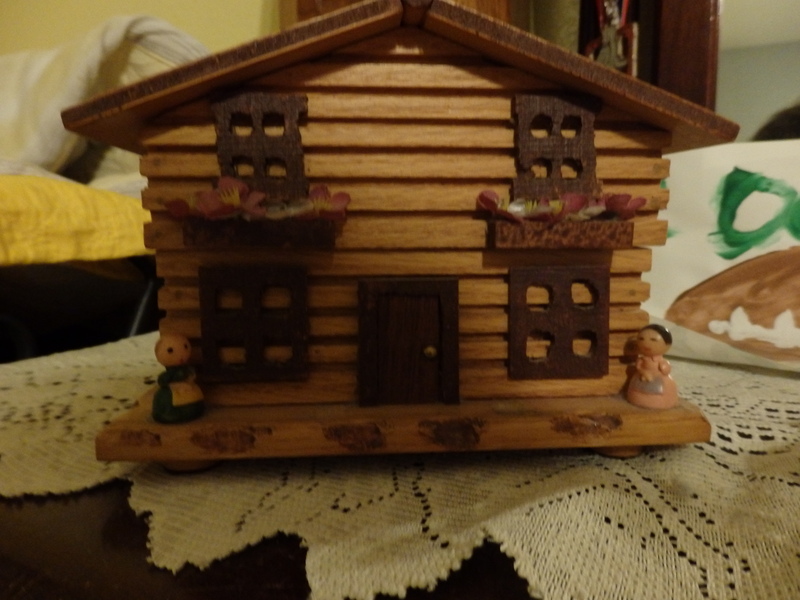 My jewelry and music box he built when I was a kid. 6. Not a creature was stirring not even a mouse. 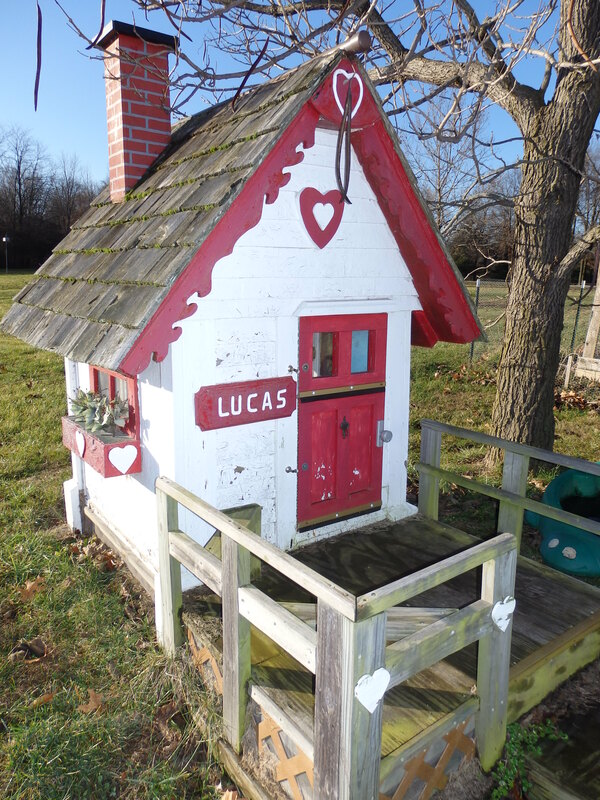 Ah but there use to be a lot of noise coming from this little house. 7. Thankfully this mission has no threat of danger. Under a shelter built by Papa you will find the Greatest Gift and True Reason laying in a manger. 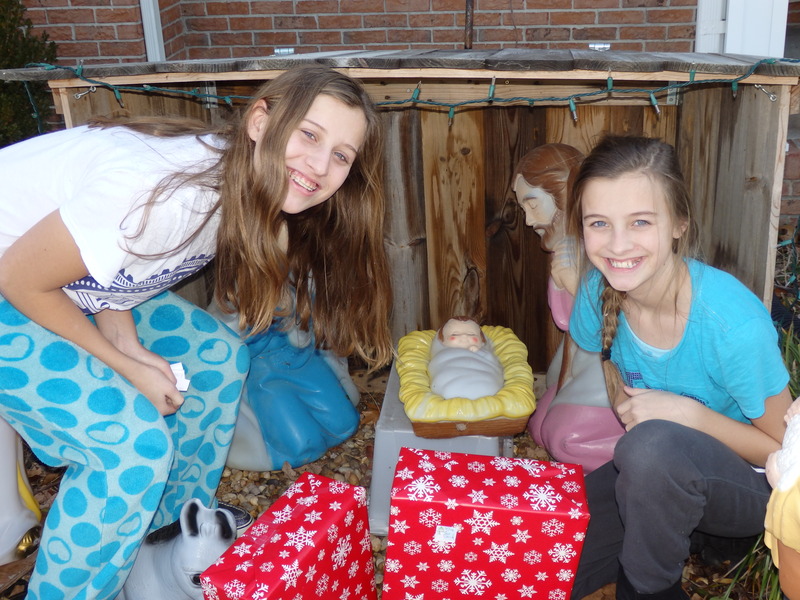 Their gifts were found under the stable behind Jesus. The stable was built by Papa for our outdoor Nativity set. Gifts are fun, but fleeting. There is only one gift that lasts for eternity and that is God’s gift of His Son. 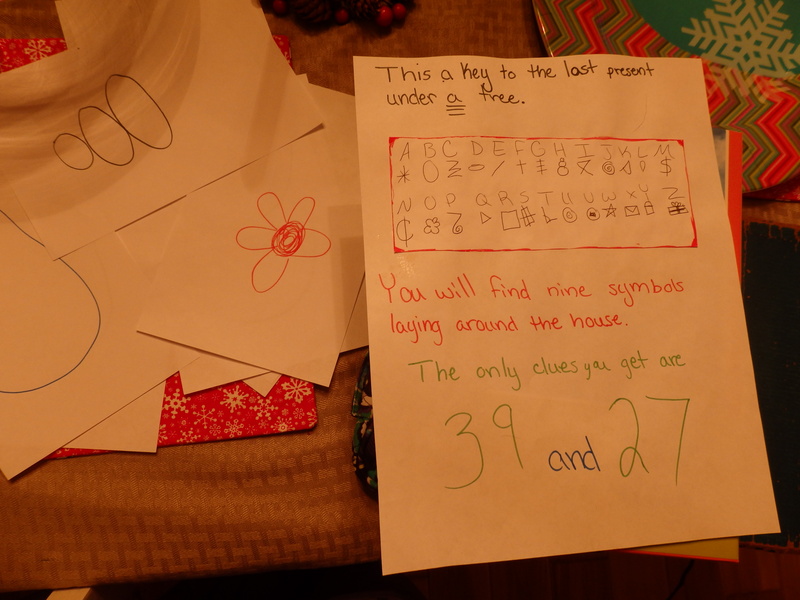 My sister had also done a hunt for her children and our youngest made a special clue hunting game for my gift as well. The gift from my children and husband will be another blog! Here is a picture of our daughter’s clues! What a fun way we will remember our beloved Papa on Christmas! His favorite time of the year! !